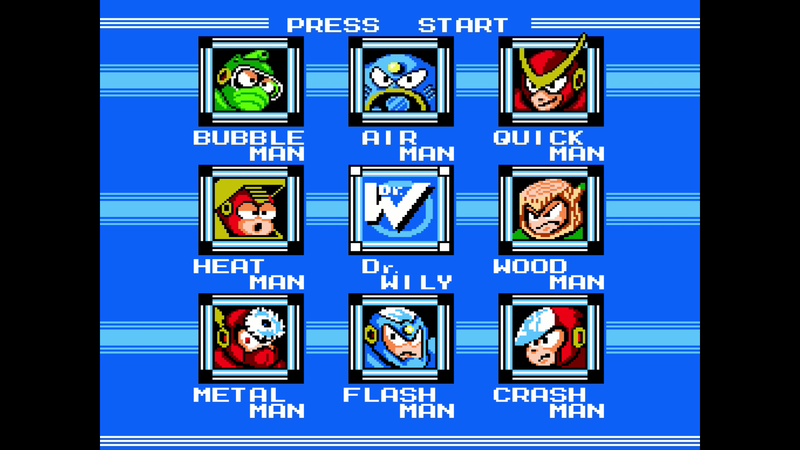 Some things never go out of style, and one of those things is undoubtedly the original 8-bit Megaman games. Originally released on the Nintendo Entertainment System (NES), these six titles were the some of the original platformers and have since been the inspiration for countless other titles. With Megaman Legacy Collection, Capcom has brought all six of the original Megaman games to current-gen consoles in all of their old school glory. If you’ve ever played a Megaman game before then you know that the gameplay is rock solid and challenging. Each stage is packed with enemies that swarm, charge, and shoot at you, and surviving requires an extremely good reaction time, and an ounce or two of cleverness. Each stage ends in a boss battle wherein success allows you to absorb the boss’ power, which helps you overcome subsequent levels. The visuals may seem old fashioned now, but at the time of their release they were some of the best of the console generation, and this still holds up even today. Hand-drawn enemies have a certain cartoon-like look and feel to them, and character animation is exaggerated and endearing. Levels are even more impressive, as they’re not only well-designed, but each have their own unique textures and theme that are centered around whichever boss you’re tackling. So what’s new with Megaman Legacy Collection? Firstly, some minor modernizations have been added, like the ability to save progress in between levels (in the original versions you had to remember a passcode). Additionally, a new challenge mode has been added, which gives players the opportunity to mix and match certain sections from each games for an added and new challenge. Aside from these minor additions, Megaman Legacy Collection is about what you’d expect from a re-release of these six beloved Megaman games. Megaman Legacy Collection sets out what it aims to do--provide longtime fans, and a new generation of gamers, with the opportunity to play through some of the most iconic Megaman games ever made. With a $15 price tag, Megaman Legacy Collection is a good deal for those interested in a challenging, retro gaming experience.